One of the most dangerous pieces of equipment on any fishing vessel is the winch; drum winch, capstan and/or cathead. So many accidents and fatalities have been caused by winch entanglements, that in 2012 the US Coast Guard teamed up with NIOSH after the tragic death of a 15-year-old boy. The boy was killed when his clothing became caught in a winch on a shrimp boat. The accident set in motion a project to study these types of accidents and find solutions. 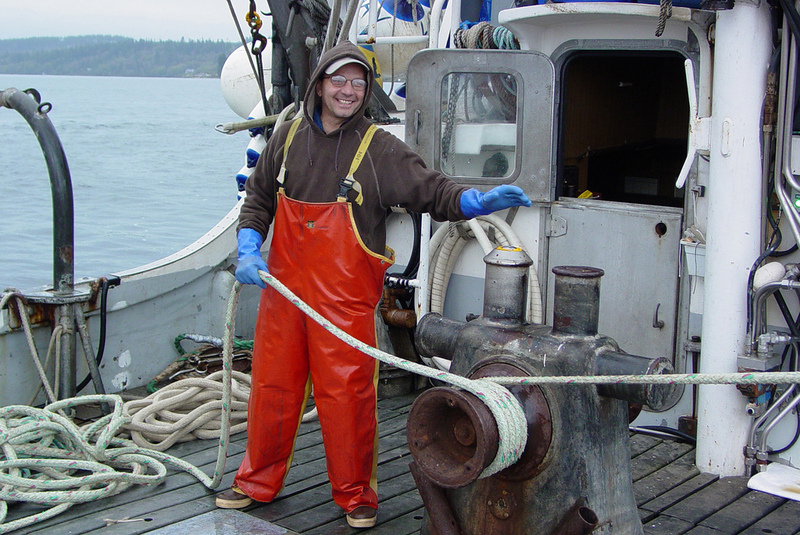 According to Ted Teske, a Health Communications Specialist with NIOSH, a fisherman who is caught and pulled into the winch has no way to stop the equipment. This is because the turn-off switch is mounted on the back of the wheelhouse, far from the winch and the entanglement. Unless someone is at the controls and can swiftly turn off the winch, it will spin several times before stopping. Teske helped develop a simple device called an E-Stop, or “emergency stop”, that is accessible to a seaman who is caught or entangled in the winch. This simple device interrupts the flow of hydraulic fluid to the winch during an emergency. The E-Stop mounts right on top of the winch. If a fisherman is caught and pulled into harm’s way, the button is within reach. The entangled worker simply hits the button to stop the winch. The system can easily be reset by a crewmember after detanglment. The kit is easy to install, and the company provides all the materials needed, including a custom button, templates, and the cutting heads needed to cut through the winch horn.